Posted in: Daily Posts. Tagged: Bird Photography, Bumblebees, Dusseldorph, German, Interesting People, Macro Photography, Photography. I went out to the Dubuque Regional Airport yesterday morning to photograph the war-birds on their last day here. I was told on Friday that they would more than likely take off and do a group formation between 10:00 – 11:30 a.m. I arrived at the airport around 8:30 a.m. with cameras, lenses, lawn chair, umbrella, and lots of water, full of anticipation. 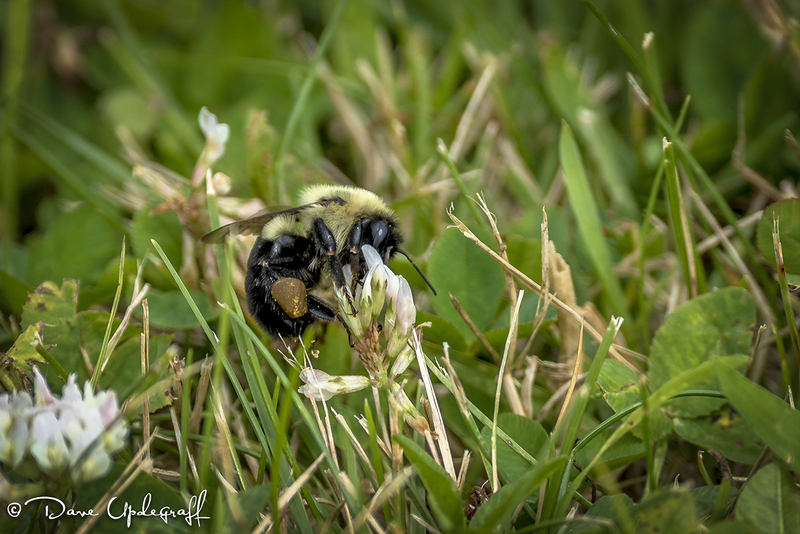 I shot 1,000 images yesterday and the first image I’m showing you is a bumblebee. Not only is it my first image, it’s all I’m showing today. This little guy or some of his buddies were working the small wild flowers all around me. 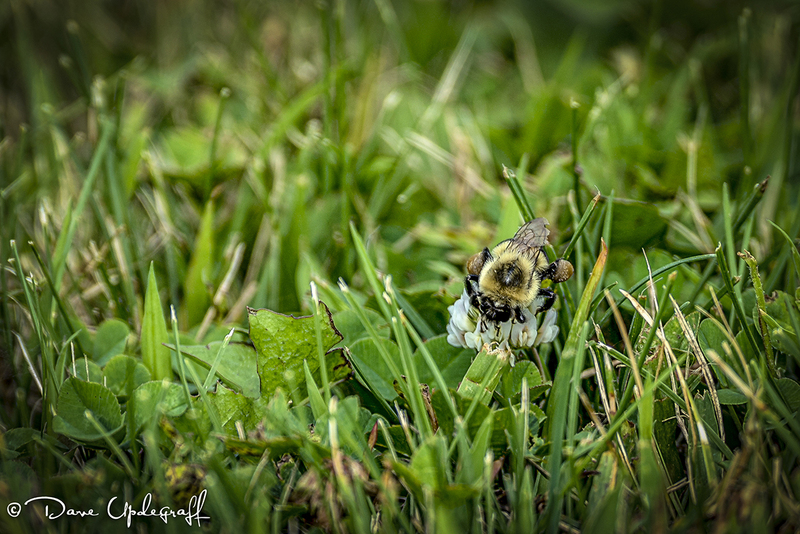 The action at many times was non-existent on the air field so I amused myself by photographing the bumblebees and a little ground squirrel, which I’ll show later. I spent 4.5 hours at the airport and never did see the group take off or fly over. I finally packed it in around 1:00 p.m. as I had other things I had to do. I met several nice people while I was there including a very interesting man from Germany. As we were watching a couple of the war-birds taxi out for take off he said to me, “Those planes use to shoot at me when I was a boy.” He introduced himself to me but the only part of his name I could hear was his first name, which was Reinhardt. I doubt if I have spelled it correctly. He said he was born in 1937 near Düsseldorf, Germany and towards the end of the war the American fighter planes would seek targets of opportunity after escorting the bombers. During this period of the war they did a lot of strafing of the German country side and he remembers that. Fascinating gentleman and I wished we could have visited longer but he had to go. I did shoot lots of airplanes yesterday so I have several of those to show during the week. 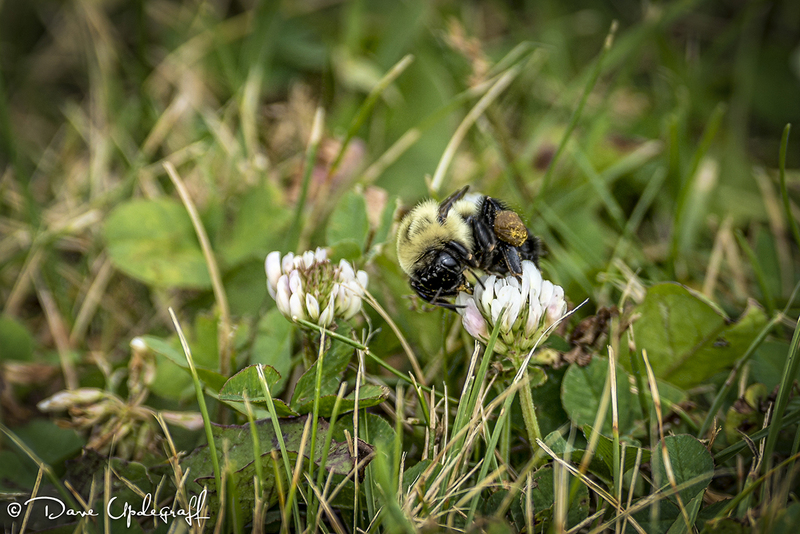 I just liked the bumblebee images so that is what I share with you today.